God’s desire is that His people bring forth fruit. In John 15:16 Jesus says: “...I chose you and appointed you that you should go and bear fruit, and that your fruit should remain.” Romans 7, verse 4 states that “...we should bear fruit to God.” Peter, the apostle, exhorts us that we should be neither “...barren nor unfruitful in the knowledge of our Lord Jesus Christ” (II Pet 1:8). What is this fruit which God wishes us to bear? What is it that our Lord desires of us? Are we as His people satisfying our Lord by bringing forth the fruit which He is seeking? Being fruitful can reveal itself in many ways. This includes leading people to Christ, building them up in the faith, meeting their physical needs and in general doing whatever the Spirit of God is directing you to do. Those who are following the Lord will be busy. Jesus said while He was in this world, “I must work the works of Him who sent Me while it is day; the night is coming when no one can work” (Jn 9:4). He also stated: “My Father is always at His work to this very day, and I, too, am working” (Jn 5:17 NIV). Clearly Jesus’ life was an example for us of Holy Spirit directed activity which was His daily obsession. Since this is true, those who are walking with Him will also live as He did. Unfortunately many Christians feel that their lives are anything but fruitful. Countless believers feel unused and impotent, sensing that they are not affecting those around them and that their lives are not really counting for God’s Kingdom. It is to these people, those who realize that they are not truly bringing forth fruit unto God, that this message is especially directed. In order to begin bearing fruit – to be really used of the Lord – one thing stands out as being preeminently important. It is the question “Where is your heart?” Please do not miss the crucial point of this question. Since there are so many things in this world – both spiritual and physical – which will keep us from the will of God, unless we have gotten this issue straight, we will go nowhere. This fruit bearing about which we have been speaking is not a product of natural effort. It is not something which we ourselves fabricate. This fruit is absolutely not things which we do for God. Instead, it consists of works which God does through us. It is the result of the Divine Life of God flowing into us and through us. Jesus says: “I am the true vine... Abide in Me, and I in you. As the branch cannot bear fruit of itself, unless it abides in the vine, neither can you, unless you abide in Me. I am the vine, you are the branches. He who abides in Me, and I in him, bears much fruit; for without Me you can do nothing” (Jn 15:1,4,5). It is “abiding” in Jesus which produces fruit. But what does this mean? It means that we are walking in intimacy with Him. It signifies that we have constant and deep communion with God. It means that we have a relationship with Him which is satisfying both ourselves and Him. This is a relationship of love. The result of such intimate communion is the producing of fruit. Such communion is the result of an open and yielded heart. It is natural to those whose innermost beings are given over to Jesus in complete surrender. It is the joy and privilege of those who are in deeply in love with their Savior. The truth is God does not need anything else from us. He does not depend on our abilities and intelligence. He doesn’t need our good looks or charm. Our knack for influencing others and persuading them along certain lines do not interest Him. Not even our gifts and biblical knowledge are essential for Him to do His work. You see, if and when God has our heart – when we are completely His – any and all deficiencies on our part can be overcome. His power is so great that our limitations are nothing to Him. He is able to use anyone and everyone once this heart issue is resolved. When we are living and walking in intimate communion with Him, producing fruit is the spontaneous result. Jesus taught His followers not to worry about the things of this life. He says: “Therefore do not worry, saying, ‘What shall we eat?’ or ‘What shall we drink?’ or ‘What shall we wear?’” (Mt 6:31). He further explains: “...seek first the kingdom of God and His righteousness, and all these things shall be added to you” (Mt 6:33). Yet how is such a thing possible? The natural man yearns for and depends on these things. It seems to be an inherent part of human nature to worry about and seek for these seeming essential aspects of life. To not worry about or seek these things is totally contrary to the human nature. Jesus seems to be suggesting something almost impossible. But His point is that the Father loves us. It is He who is caring for us. It is our knowing of His love for us that produces such unworldly attitudes. It is our enjoying such loving intimacy with Him which gives rise to a trust and rest that is otherworldly and unnatural. Why then does He teach us these things? It is because He is jealous for our affections. He wants our heart to be truly and fully His. In His great wisdom He knows that what a human heart seeks and longs for becomes its focus. Therefore, if and when we seek after the things of this world, our heart turns away from Him. But when we trust Him completely, then these other, seemingly necessary things, do not compete for a place in our hearts with Him alone. Perhaps some who are reading here find themselves in a condition of not bearing fruit. It is possible that some sense that there are other things in their heart which are blocking a full and free intimacy with Jesus. With this in mind, we will now take some time to go through a portion of scripture which speaks specifically about these conditions. It is the parable of the sower found in Matthew 13, Mark 4 and Luke 8. Here we have detailed for us some of the items which cause Christians to become ineffective in God’s kingdom. Essentially, the state of fruitlessness is a heart problem. It is a condition which reveals that there is something wrong in our hearts. We have lost our focus and become entangled in other things. However, with the Lord’s help, once we identify the thorny things in our hearts which are choking the word, we can pull them up and enter again into a joyful, productive Christian experience. It is possible that this job may be a little painful. Some may even be afraid. But let me assure you that it will all be more than worth it once you have entered into the things which God has prepared for you. This parable of the sower is a story with which most people are familiar. 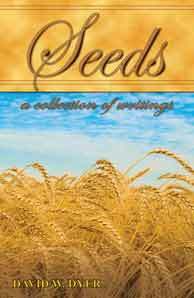 It tells of how a sower went out to sow, and as he scattered his seeds, they fell upon different kinds of ground with varying results. Some did nothing at all. Others struggled and seemed to wither. Still others were choked and became unfruitful. But a few of these seeds fell on good ground and brought forth fruit unto God, some thirty, some sixty, and some one hundredfold. We are told that this seed which was sown, is the Word of God. The Word of God today is being sown into the hearts of men. God is sowing His Word into us with the express intention that we bring forth fruit. He is not casting these seeds around aimlessly. But just as the sower had the anticipation of growing a crop from these seeds, so God has purposed that His Word bring forth fruit to His praise, honor and glory. It may not be necessary here to completely examine every aspect of this parable. Some of these kinds of “ground” seem to be self-explanatory. But here, I would like to concentrate on one particular kind of ground into which these seeds fell because I feel that it is a prevalent condition among Christians today. This is the case of the seeds which fell among the thorns. These are the kind of people who receive the Word, who believe in Jesus, who are evidently Christians, but who never seem to be fruitful. They never accomplish the works that God has planned for them to do. Perhaps they are upstanding believers who attend church meetings regularly. Possibly there is no blatant sin in their lives. Yet their lives are not full of fruit. They are not productive. They don’t seem to be living in a manner that satisfies the One who bought them with His precious blood. According to this parable, when we put together the evidence found in all three gospels, this fruitless condition is caused by four things: 1) The cares of the world. 2) The deceitfulness of riches. 3) The pleasures of this life. And 4) the lust for other things. Each one of these items is something which attracts and then captures the hearts of men, drawing them away from a true intimacy with God. As we continue here we will take a little time to examine each of these problems. To begin it is very easy for Christians to be caught up with and concerned about what the scriptures refer to as “the cares of the world.” This category covers such things as food, shelter, clothing, education, life partners, career opportunities and other similar items. This is a subject which we have touched upon briefly before. These are all things about which it is natural for man to be concerned. For many, these concerns are so important to them that they have become the focus of their lives. Understanding this natural, human tendency, Jesus told another parable about the birds of the air and the flowers of the field – how they’re clothed and fed by God Himself. His admonition to His disciples was clearly that they should take no thought for these things. Let me repeat that – “take no thought.” Jesus’s teaching was that Christians do not need to be focused on these things. He would take care of them. How can such a thing be true? Is it possible that Jesus does not want us to pay attention to our future? Isn’t our education of the utmost importance? Isn’t our financial security something to which we should give serious and prolonged consideration? Aren’t these things essential for our existence? According to the scriptures, the answer is “no.” We are admonished to “take no thought” for these things (Mt 6:25). Surely this means that we should not spend our time and attention on them. Instead, we are instructed to make service to the Lord and His kingdom our priority. Why would Jesus exhort us not to be occupied with things which seem so vital to our existence? How are we to live in this world without paying a good amount of attention to these very things? The answers to these questions are fairly simple. Human beings are finite creatures. Their minds can only be occupied with a limited number of thoughts. Their hearts can only be focused upon one thing at a time. When our attention is taken up with these earthly considerations, thoughts about God and His kingdom necessarily take second place. These things then begin to occupy a place in our hearts which should be reserved for God alone. He intends that we should look to Him to provide us with all our necessities and that we would learn to trust in Him completely. In this way our hearts and minds will be free to seek His Kingdom first – to seek His will, to spend time in prayer and to concentrate on how we can best fulfill His commission to us. How easy it is to be in the state in which Martha was when Jesus came to visit at her house in Bethany – to be “distracted” with many practical things (Lk 10:40). Children, housecleaning, employment, new clothes, grocery shopping and many other day-to-day chores become for some people the heart of their existence. Their job, their business and their homes become their focus. They feel that these things are important (and of course they are) but the problem enters in when they begin to take our time and attention away from our Lord. They distract and capture our heart. Clearly Jesus says if we seek Him first, He will take care of these things and leave us free to bring forth fruit. A second thing which hinders our spiritual productivity is the deceitfulness of riches. I don’t know if anyone who is in the grasp of riches would ever be able to see it outside of a mighty visitation from the Lord. The power of money is extremely seductive. In fact today in our world there is a whole segment of the Christian population that is actively pursuing wealth and teaching others that this is God’s will for their lives. Yet we hear the scriptures say: “But those who desire to be rich fall into temptation and a snare, and into many foolish and harmful lusts which drown men in destruction and perdition” (I Tim 6:9). To pursue riches is to pursue folly. Nothing could be farther from Christ’s heart than to actively seek after money. A great many men of God have been ruined by this one thing. I heard recently about a missionary to South America who, once he got there and saw the opportunities, gave up God’s work and went into the import/export business. God owns the cattle on a thousand hills. He possesses everything. He will give to His servants that which is needful for them. If we abound, we can thank Him for it. If we are abased, still the answer is the same. The Bible says: “...in everything give thanks; for this is the will of God in Christ Jesus for you” (I Thess 5:18). Christians need to learn to be thankful to God for what they have and trust that He will take care of the rest. This is a secret which Paul discovered. He said: “...for I have learned in whatever state I am, to be content” (Phil 4:11). When we pursue money, higher salaries, better jobs, or more education for the purpose of gaining financially, our minds and our hearts can be easily taken away from the love of and service to God. The results are disastrous. All too soon we become stale and unproductive in our work for Jesus. Nothing could grieve our Lord more than to see His children pursuing such vanity. He has so much of Himself to give us and there is so much more waiting for us when He comes again. How we need to spend our time on this earth actively pursuing our relationship with Jesus! The scripture says that we are to set our minds on things above and not on things on the earth. It is the unseen things which are eternal. By pursuing the heavenly things we will lay up treasure that will not be consumed or destroyed. A third thing which hinders many believers from doing what they should in the service of God is the pursuit of pleasure. Our society today seems to be centered around ease and pleasure. The TV, movie theaters, sports, music and entertainments of every kind dominate many people’s lives. Some cannot feel comfortable going through a day without reading the sports page of a newspaper and finding out about the activities of their favorite teams. Others are dominated by television programs and/or soap operas. Much time and money is wasted by Christians. By pursuing pleasure they also squander a lot of valuable time which God could be using for His own purposes. Recreational shopping, expensive dining, sports, parties, various pastimes – anything of this nature – can draw away our heart toward the desire for more and more pleasure. One of the most precious things that we have to offer to God is our time. If He does not possess our time, He does not possess us. And unless He possesses us, we cannot be fruitful in the way He desires. How we are using our time is a sure indicator of what our priorities are. Many seemingly innocent activities fit into the category of spiritually valueless pleasures. If we are willing to be honest with ourselves and with God, no doubt we will find many areas of our lives which are occupied with self-centered pleasure. For some it may be needless shopping. For others it could be seeing all the latest films or hanging out with friends while engaging in useless, worldly conversation. Some believers spend countless hours watching TV programs which are morally questionable or worse. Others spend their spare time, money and energy fixing up a vacation home where they can spend their leisure time. Exercise programs and a preoccupation with sports have turned many people’s attention to the condition of their bodies. Now I am not saying that Christians do not occasionally need to spend a little time to relax as led by the Holy Spirit. It is possible that some have been overworked in their service to Jesus. Our Lord does not prohibit us from doing anything enjoyable. But many, many believers waste far more time than necessary simply entertaining themselves. This not only grieves the Holy Spirit, but it causes us to be unproductive, frustrating and hindering God’s purposes on the earth. Once again, what we do with our time exposes where our heart really is. No doubt many of our Lord’s precious children will have difficulty understanding how seemingly innocent entertainment could pose problems to their spiritual walk. I have known more than a few to become offended when this kind of question arises. All I can tell you is this. If you are walking in an intimate, love relationship with Jesus, your life will be filled with His work. It will be a life of abundant fruitfulness. It will not be one which is occupied with self-interested pursuits. It will be one wholly consecrated in every way to God. No corner of your life is too small or any area so unimportant that He does not wish to wholly possess it. As this parable clearly shows, if our lives are spiritually lethargic and unfruitful, this could well be the reason. A fourth item mentioned in this parable which caused the seeds to be unfruitful is the lust for other things. Some desire to be famous. Others want a particular position in the community or success in business. Some want a new car, boat, land or house. It can be almost anything. Only you can know before God what you might be pursuing in your heart, which is keeping you from being completely His. But if today you will bend your knees before Him and open up your heart, allowing His Holy Spirit to search and enlighten you, you can find out what these hindrances to intimacy with God and fruitfulness are. I beg you, allow the light of God to penetrate your heart. Allow Him to expose these things. Don’t be afraid. Such searching by the Holy Spirit only seems to be difficult. What God will bring to you in the place of these things onto which you are so desperately clinging is far more than you can ask or imagine. A life filled with His Spirit and occupied with the service of God is the most satisfying and rewarding thing in which a person can engage. Yet, so many are hindered from this life of fulfillment by these paltry, earthly, menial things which choke the Word and make it unfruitful. You may have noticed at the end of this parable it doesn’t say that these people did nothing or that they weren’t “good Christians” or even that they didn’t grow or that they never experienced God. It simply states that they brought forth no fruit “unto perfection” – unto maturity. Maybe there are a few little green tomatoes so to speak, hanging on your spiritual vine. Perhaps you consider this to be adequate that God has used you to bring forth two or three little green tomatoes. But Christ’s desire is that we would bring forth much fruit unto perfection, that we would fulfill the ministry that He has given us. He wants us to fill up the full measure which Christ has purchased for us. A life invested in the service of God through serving others is the most rewarding experience that a person can have. No one who pursues this course will ever be sorry. In case you are interested in this kind of existence, let me reiterate that the only way this can be accomplished is by opening up your heart completely to Jesus. He must become our first love. We, His people, must offer ourselves upon the altar of sacrifice. Romans 12, verses 1 and 2, says that this is reasonable, acceptable and pleasing unto God. Once we offer ourselves unreservedly, then He can begin to use us, to move in us and through us to accomplish His purposes. There is no doubt that this is what God desires. He wants every corner of our heart. And there is also no question that there will be a price. God requires everything we own, everything we have and all that we ever could be. In its place He will give us everything He is and all that He has. If you have been touched by this message, this is truly the way. If through His mercy you realize that you have lost your first love, that your original zeal is gone, this is the answer. Come openly to God. Allow His Holy Spirit to search your heart and whatever He finds there, by His grace, yield it up to Him. Dear friends, there is no better way. May we by His mercy choose it until He comes.